Almost every weekend, Social Media Specialist (and fitness fanatic) Amanda Meixner preps her meals and shares her photos. 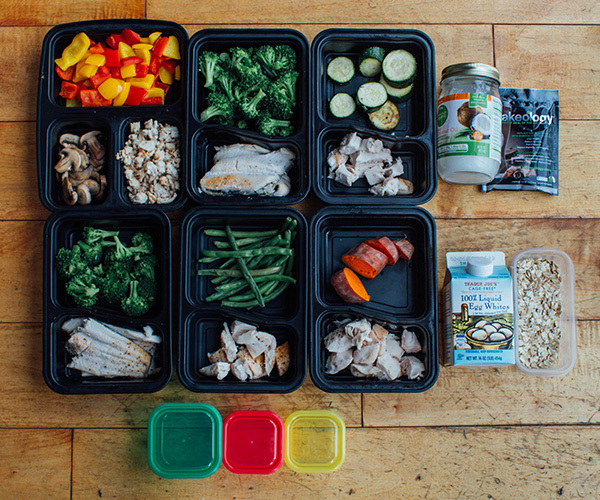 Her simple photos remind us meal prep doesn’t have to be hard. This week, she is doing two days of Autumn Calabrese’s Countdown to Competition eating plan, followed by one day of the 21 Day Fix EXTREME eating plan (repeating this for the rest of the week). Amanda gets a lot of questions about her weekly meal prep, scroll to the bottom of the page to read her answers. .
Do you plan your meals on Sunday? If not, save this and use it for your next meal prep! Do you get bored of eating the same thing every day? Not at all! I switch it up on a weekly basis and choose my healthy favorites that I don’t mind eating often. I also add different seasonings to keep things interesting (check out the 21 Day Fix & 21 Day Fix EXTREME nutrition guides for seasoning recipes). Do you pre-cook all your food at the beginning of the week? Does it stay fresh all week? I personally like to cook all of my food at once. I keep it properly refrigerated and find that it stays fresh up to 5 days. If you prefer, you can freeze the last 2 days worth of meals, or cook 2–3 days at a time. Can you put any of these meals in the freezer? I personally don’t freeze my meals, but I know people who do. Just remember to thaw it in time. Do you use the colored containers and then transfer food into the larger ones? 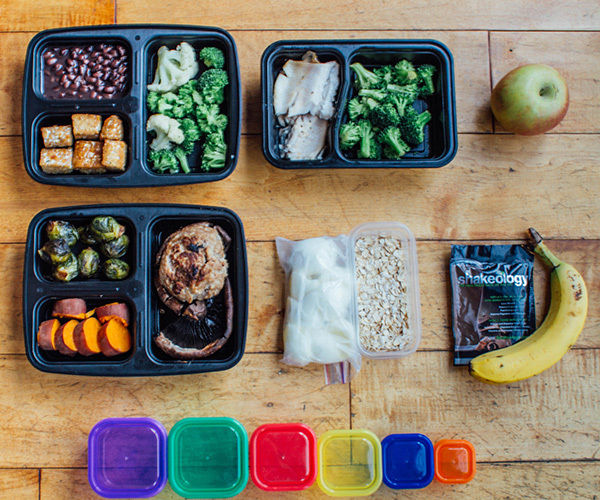 The colored containers are the meal portions used in 21 Day Fix/21 Day Fix EXTREME. I use them to help me measure all my food when cooking, then I put my meals into my black Chefland containers for easier organization and transport. Where can I buy those containers? It's Time for Kabobs! Lula Kabobs!